Cream cheese frosting is one of the most amazing frostings you can put on a cake. The tanginess of the cream cheese and the sweetness of the sugar is balanced perfectly with a touch of orange. I have yet to find a cake flavor that doesn’t go perfectly with this cream cheese frosting. Cream cheese frosting is notorious for being a very soft frosting. That’s why it’s important to use the right frosting for the job. 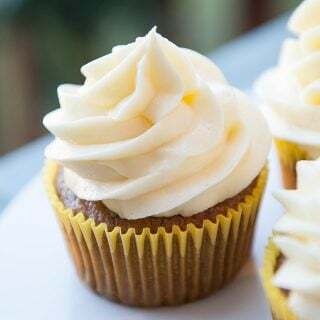 This luscious cream cheese frosting is PERFECT for frosting a simple cake, piping on top of cupcakes or slathering over soft sugar cookies. 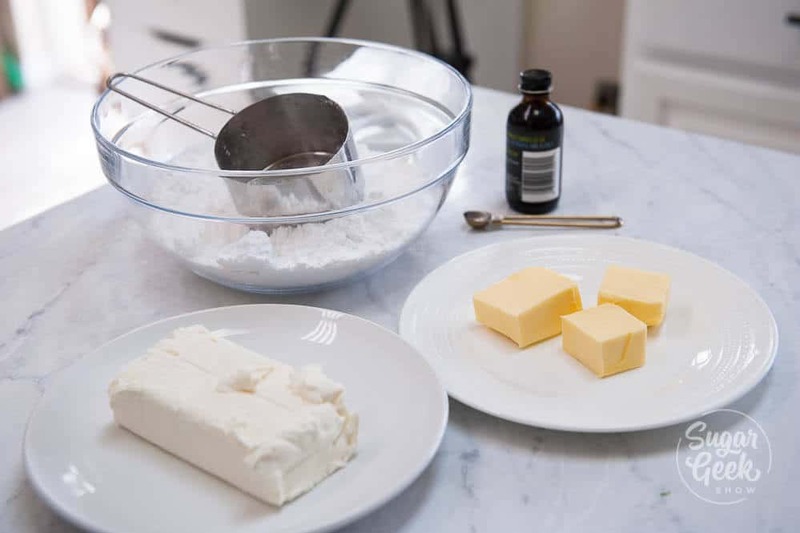 Preparing to make the best cream cheese frosting ever! Ok before you even think about busting out that mixer, make sure you prep your ingredients. If you’re familiar with my recipes, you hear me say again and again the temperature of your ingredients is SO important! Cold does not like to mix with warm. So if you’ve got room temp butter and cold cream cheese, you’ll end up with a lumpy separated mess. Don’t worry, it’s easy to soften cream cheese pretty quickly. Cut your cream cheese into four cubes and place onto a heat-safe plate. Microwave for 10 seconds and voila, softened cream cheese. You can soften the butter the same way but only nuke for 10 seconds. Softened butter should be soft enough that you can leave an imprint in the surface of the butter but not melted. Use high-quality cream cheese (full-fat) and the best butter. 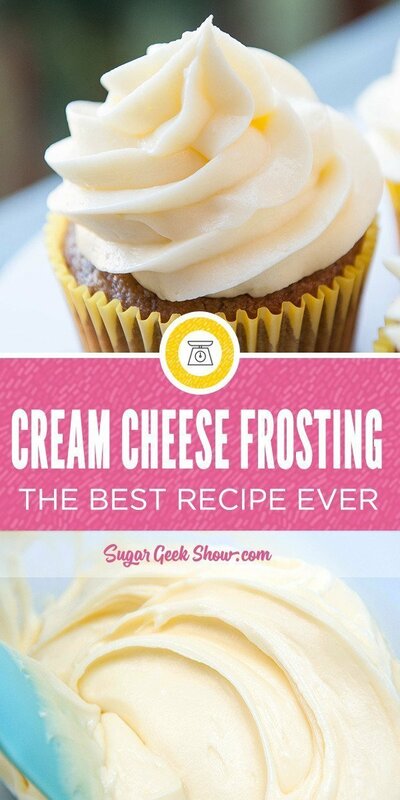 The better the cream cheese and the butter you use, the better tasting the cream cheese frosting will taste! Lastly, sift your sugar for super smooth cream cheese frosting. I know, I hate sifting sugar too. But if you don’t sift your sugar and you end up with lumps, there really isn’t a way to get those lumps out. 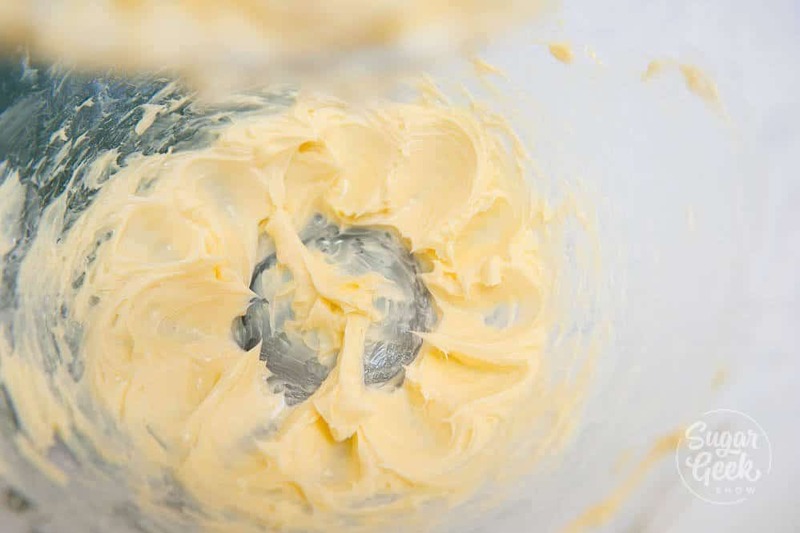 Add your softened butter to the bowl of your stand mixer with the paddle attachment. Cream on low until smooth and lump free. Add in your softened butter and combine with the cream cheese on low until smooth and completely homogenous. Add in your powdered sugar one cup at a time. If you want to make your frosting thicker, add in an extra cup of powdered sugar. Lastly, add in your extract and salt. 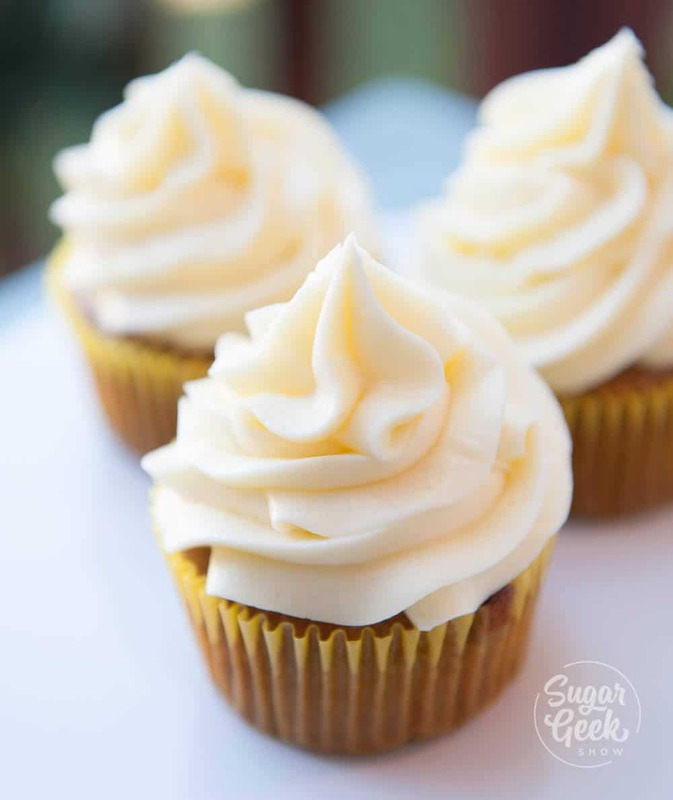 I love using orange extract in my cream cheese frosting but you can use lemon or vanilla. 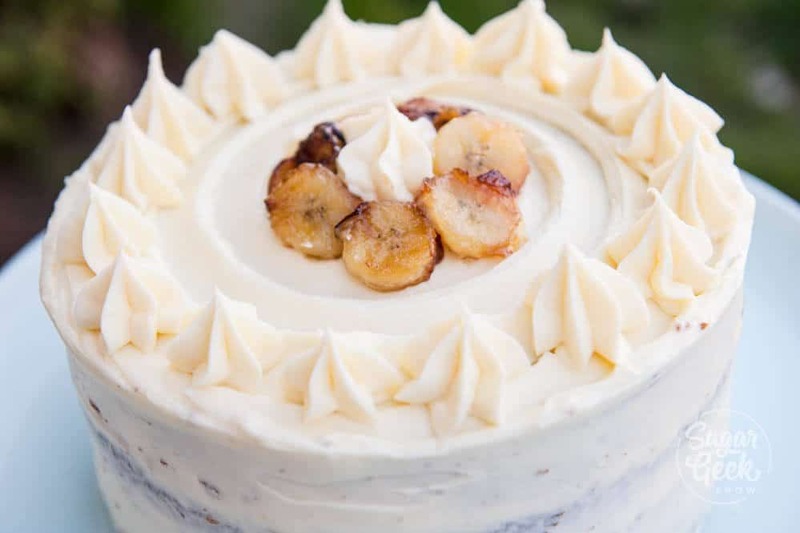 How can I make my cream cheese frosting thicker? Traditional cream cheese frosting tends to be pretty soft because of the water content in the cream cheese. 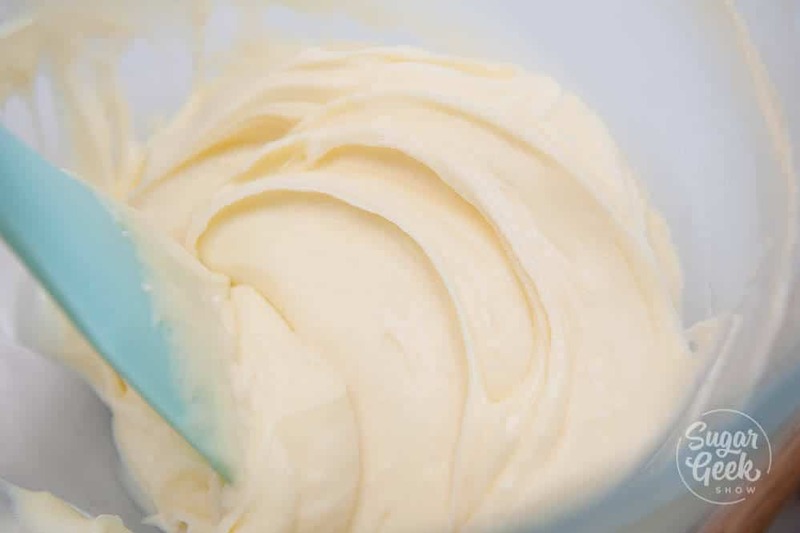 If you’re looking for a more stable frosting suitable for piping flowers or for using in stacked cakes, try my crusting cream cheese frosting recipe. This is a VERY stable frosting but it is still cream cheese frosting so it cannot be used in direct contact with fondant and cannot be left at room temperature for more than 4 hours. 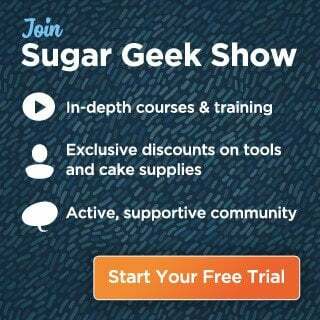 Can I make cream cheese frosting without powdered sugar? Actually, yes! 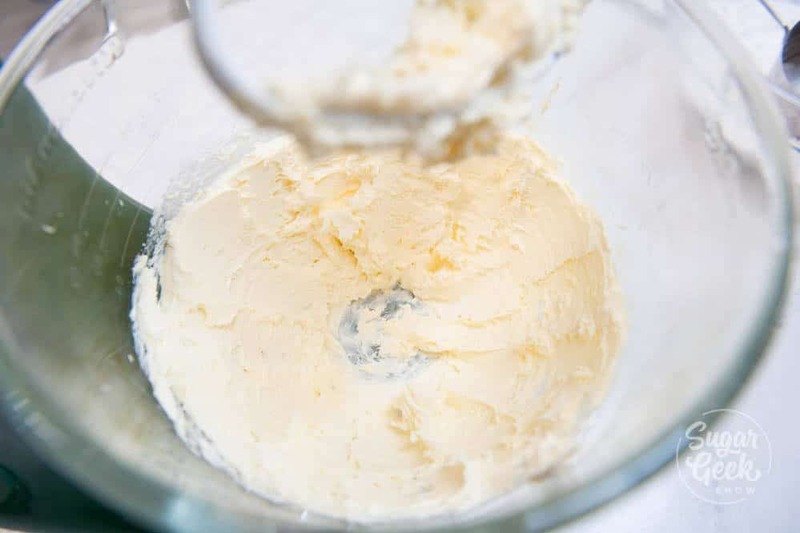 To make cream cheese frosting without powdered sugar, cream 8 oz of softened cream cheese in the bowl of your stand mixer with the paddle attachment until smooth. Add in two cups of prepared swiss meringue buttercream and mix on low until smooth. Can you pipe with cream cheese frosting? While cream cheese frosting is very soft, you can definitely pipe simple rosettes onto your cakes or cupcakes and they will hold just fine. Just remember to keep your cakes chilled as much as possible to keep the frosting from melting and becoming too soft. How do you store cream cheese frosting? Cakes with must be refrigerated but can be left at room temperature for 4 hours without any risk. Fresh cream cheese frosting can be kept in a covered container in the fridge for up to three days or frozen for a month or more. Bring frozen cream cheese frosting to room temperature and then re-whip before using it to bring it back to a smooth consistency. 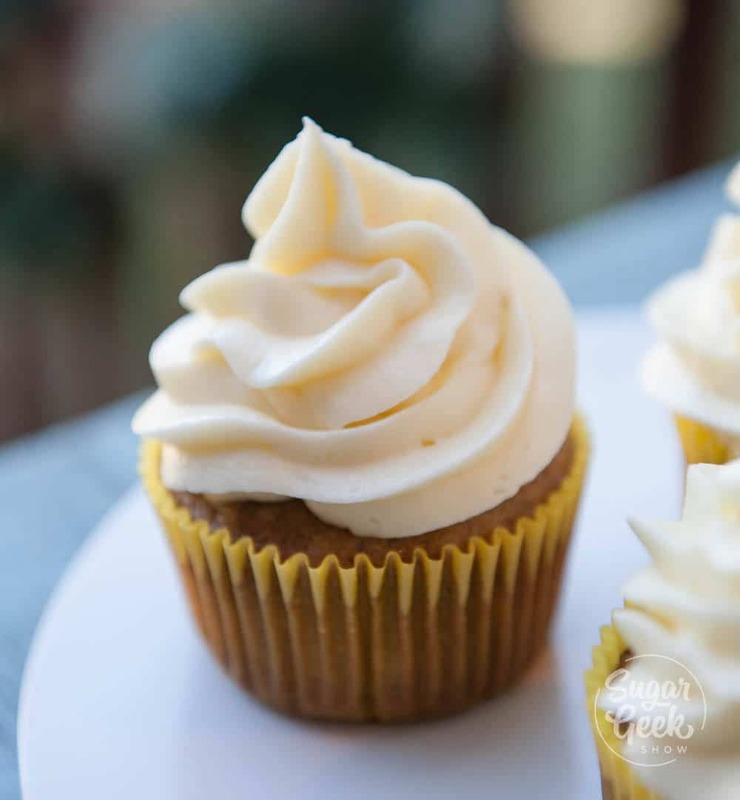 How to make real cream cheese frosting that is smooth, tangy and perfectly sweet.